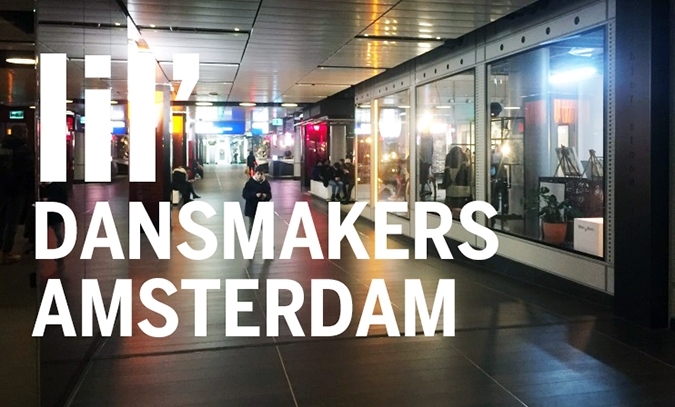 Lil’ Dansmakers Amsterdam, part of the creative hub at Central Station, is a pop-up dance studio from 12th February until 31 March. We offer dancers and makers a free work- and rehearsal space, space for presentations or try-outs. It is daily opened from 11:00 – 20:00 hrs, seven days a week. There are glass windows so passers by can see what’s going on. The floor is tiled (no dance-floor) and the space is 90 m2 with internet and basic facilities like light, heating, sound-system. Nice lounge to hang around while taking a rest, and the whole passage is meant for creatives at work (e.g Benchellal and Bas Kosters have a pop-up atelier). We still have space available from 12th February until 12th March so please be quick! Sign in to: productie@dansmakers.nla.s.a.p. by sending an email to Joppe Kos, say shortly what you want to do and when (minimum of 5 days in a row is required). We’re looking for innovative, exciting and devoted dance artists who need a space and want to be part of this new experience.